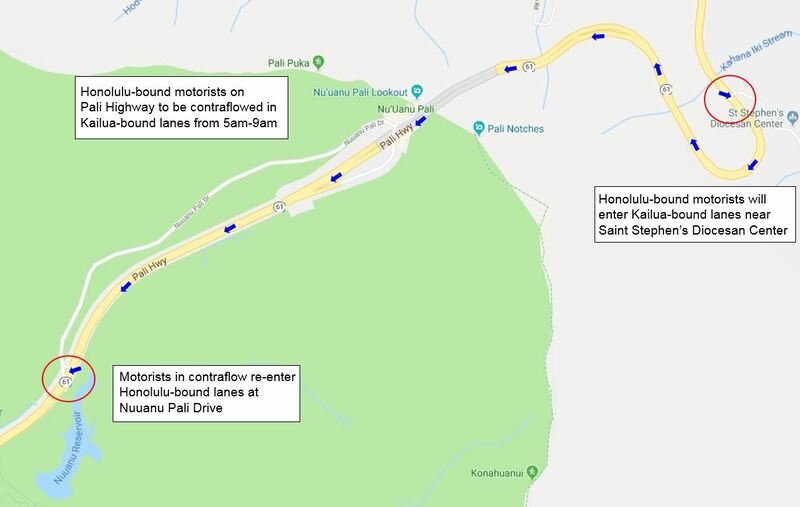 Honolulu-bound motorists will enter the contraflow at the intersection to Saint Stephen’s Diocesan Center and exit at the Nuuanu Pali Drive intersection adjacent to the Nuuanu Reservoir. See contraflow map by clicking here. To view photos of the area from Feb. 20, 2019 click here. Please courtesy “HDOT” or “Hawaii Department of Transportation” if the photos are published.